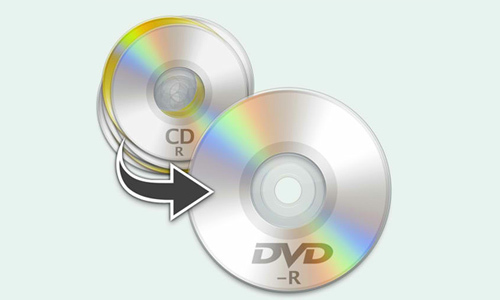 Have large collection of movies on your favorite DVD disc and to make sure that your investment doesn’t become scratched, lost, stolen or otherwise useless, it’s worth your time and energy to backup the movie on DVD disc to a blank disc or rip the DVD disc onto your computer if you prefer to keep a digital copy instead. It won’t be difficult for you to backup homemade DVD with some free DVD Ripper software such as Handbrake, Format Factory or Freemake Video Converter, however, there will be no hasse free way to make copies from commercial DVD disc which are encrypted with complicated copy and region protection, you will need a special program to break that encryption. In addition, to make full entertainment of the backup DVD movies not only on computer but also on your smartphone, tablets, game consoles and large screen TV, it would be ideal for you to find a good DVD disc backup software that offers various DVD copy mode and output format options. Based on those two important factors, we have listed 5 best DVD disc backup sofware for you. Take a glance at the following comparison tablet to distinguish one from another. From above comparison chart, we can reward Pavtube ByteCopy for Windows/Mac as the best DVD Disc backup software. Apart from the powerful disc protection bypass function, various output format option, beneficial subtitle setting tools, flexible profile tweaking settings and versatile video editing function that are also owned by Pavtube DVDAid and Pavtube BDMagic, the biggest merits of this program is that it gives you the function to output a lossless multi-track MKV format from DVD which keep all the subtitle languages, audio tracks and chapter information in original DVD movies, you are also allowed to remove unwanted subtitle languages and audio tracks in the program’s multi-task settings window.